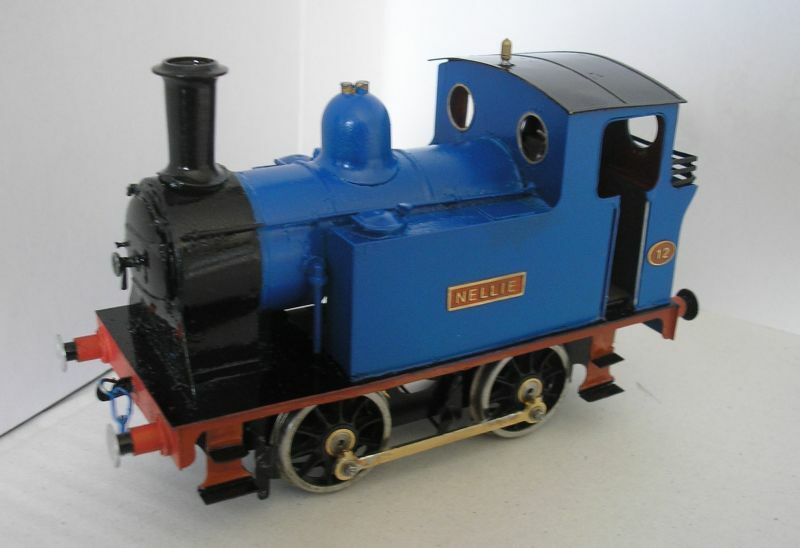 Having decided to 'have a go' at Gauge 0 I decided not to buy a Dapol Terrier or 08 but to enjoy building one of Mr McGowans Connoisseur 'starter' kits. It was a (fairly) enjoyable experience, but, has made me realise the limitations of my soldering abilities as well as find that even a little loco like this will require more space than I have for a sensible layout so I think it will - at least for the time being be a shelf ornament alongside other projects like my K's 'Lion'. Very sensible to go for one of the starter kits first at least it has shown you where you need to improve your skills. At least with the next one you will have a good idea of the format of building one. Ain't that the truth, even with O-16.5 I really need more space. Here's my take on the same kit. 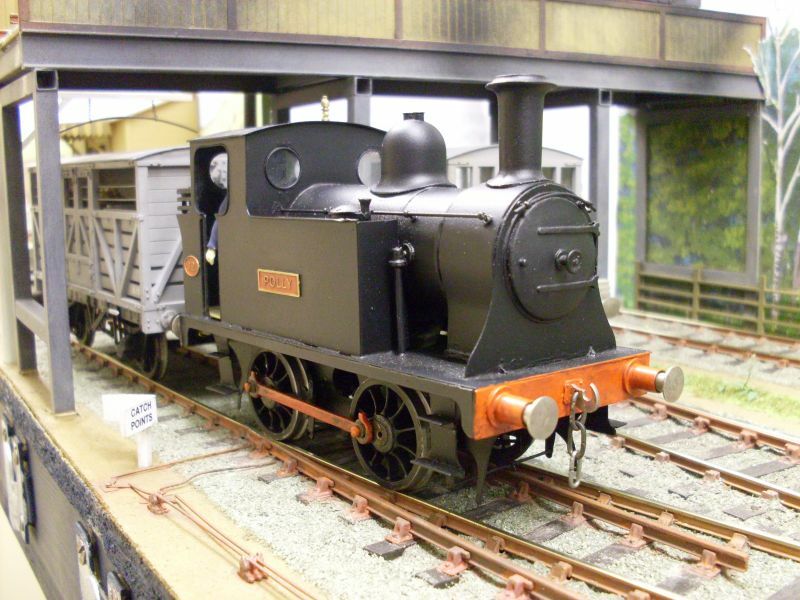 It is certainly a great loco kit to ease you into O Gauge. The colour is a car colour - Peugeot Royal Blue, a take on the original Triang 'Nellie' which Jim based his kit on in the first place. As for the cab roof, hmmmm, well , the photos really make it look bad - in the flesh (or brass!) it doesn't seem to notice that much. You both make 'O' gauge look sooooo attractive....Vade retro Satanas. You are here: Your Model Railway Club > More Practical Help > Members Projects > On Members Workbenches. > Loco Kit Completed!